Recipes for good eats and tasty treats. Prepare the cupcakes according to package directions. Divide the batter into 24 paper-lined cupcakes, and bake following package directions. Cool on a wire rack. Add additional confectioner's sugar to get the desired thickness for piping. Roll the black fondant into 48 small devil's horns. Set aside. Using a round tip, pipe the fondant into a large swirl onto the cupcakes as shown in the picture. Add two horns per cupcake. I had some problems with the horns falling out. 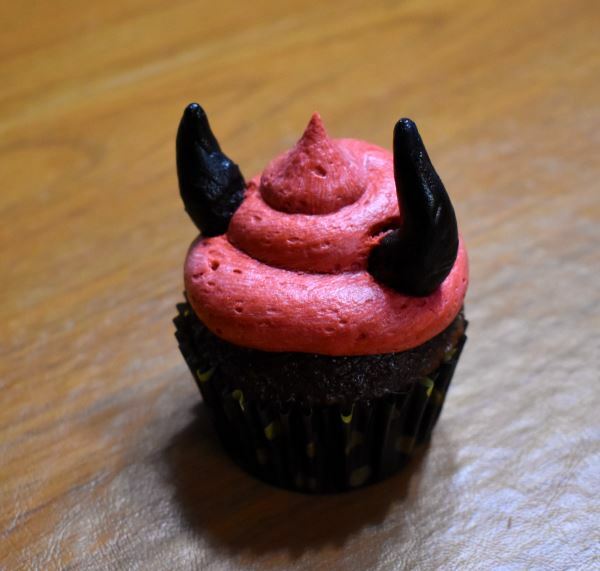 I recommend you make the frosting thick so that you have a strong base to hold the horns. 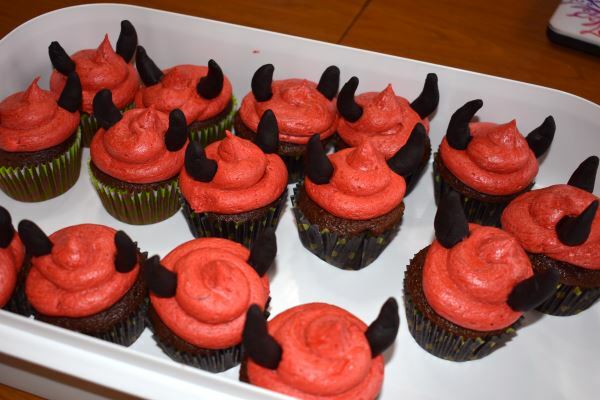 The other option is to use toothpicks in the horns to anchor them into the cupcakes. Adapted from Sophie's Favors & Gifts.